OLD SCHOOL METAL 101: SHOK PARIS – “THE HEAT AND THE FIRE” SONG FROM 1989! 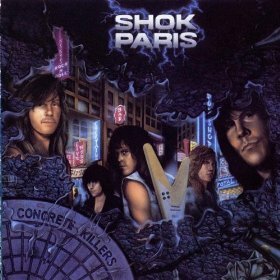 SHOK PARIS – Digging into some Old School Metal and uncovering my Shok Paris album from 1989 – Concrete Killers, had me realizing how damn decent and cool this band really was. The Heat And The Fire song has all the melodic late 80’s Metal swagger happening, from the strong vocals of Vic Hix to the heated guitar leads and solo from Ken Erb. 1989… essentially 22 years ago and Shok Paris Rocked with “Concrete Killers”. This album still Rocks my ears to this very day, Metal be thy name. 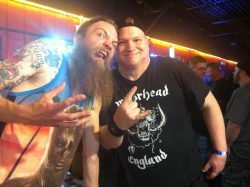 * Concrete Killers was released on I.R.S. LONG LIVE THE HEAVY ROCK ‘N’ ROLL OF SHOK PARIS!